Lovely family home has been tastefully renovated with fresh exterior and interior Benjamin Moore paint, roof, new granite countertops, stainless steel appliances, new sinks, taps, backsplash and updated baths. Other special features of thishome are slate entry tiles, hardwood flooring, wainscoting, crown moulding, 2 gas fireplaces, California Shutters, formal dining rm and family rm with French doors that open up to your large deck and beautifully landscaped backyard. The spacious master bedroom comes with 3 closets and a brand new bathroom. This home is located on a cul-de-sac in a family friendly neighborhood and is walking distance to schools, transit and New Port Village. 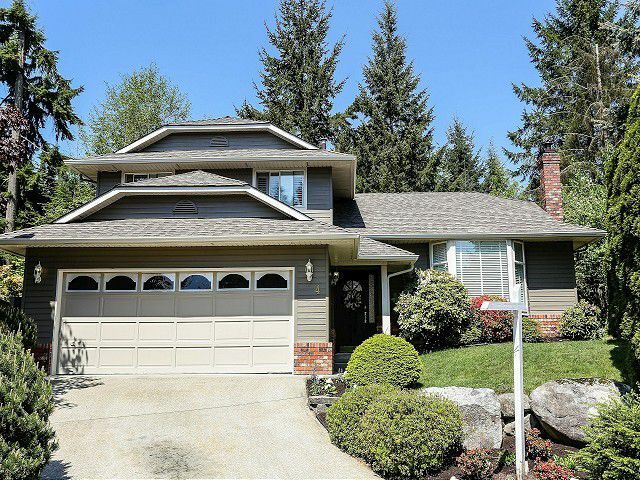 OPEN HOUSE SATURDAY, MAY 18TH 2 TO 4.